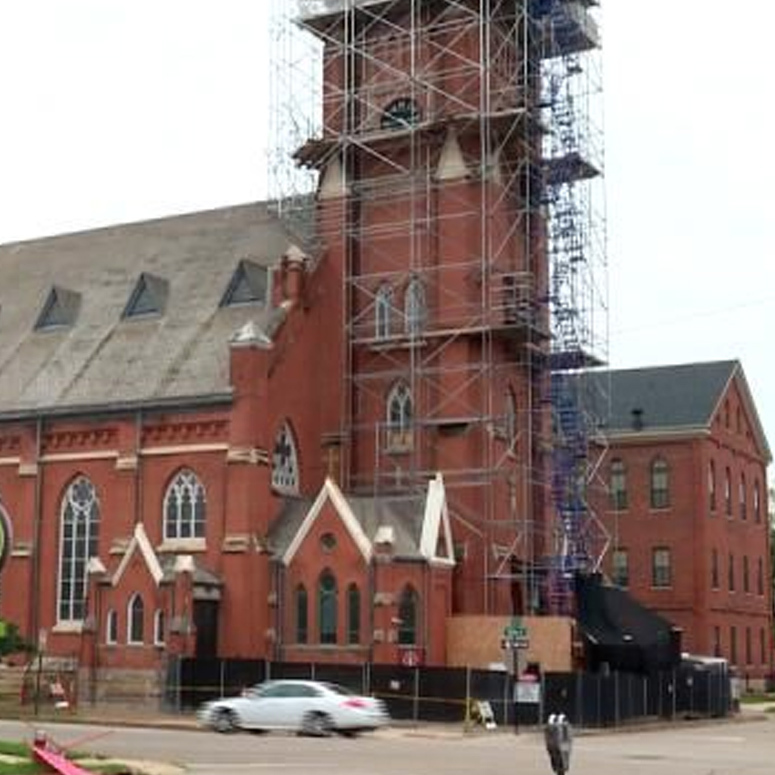 High in the sky, the steeple restoration project on former St. Mary’s parish in Dubuque is taking shape. Two years after receiving a $600,000 capital campaign challenge grant from the Jeffris Family Foundation, Steeple Square has raised the two-for-one match requirement of $1.2 million for the project. It is now on track to be completed by the end of October. The former church turned event center is considered a historic landmark in the city of Dubuque. It’s known for its steeple sitting 210 ft. in the sky. Currently, crews are working on its new copper finish. The building off of 15 St. is full of rich history. Stained glass, the clock and the church bells are also being restored thanks to the community’s support and the Jeffris Family Foundation. They had three years to meet their goal, Steeple Square did it in two. “It really is gratifying to know that this project has such great community support,” said Hagerty. The building is just one part of an overall $15 million project including 3 others in the neighborhood. Permanent housing and a child care center are also in the works. KWWL.com || by Lauren Moss, Multimedia Journalist. View article and view the video online, here.